Alison @ The Polo House hosts Favorites on the First, and March's favorite: chairs! 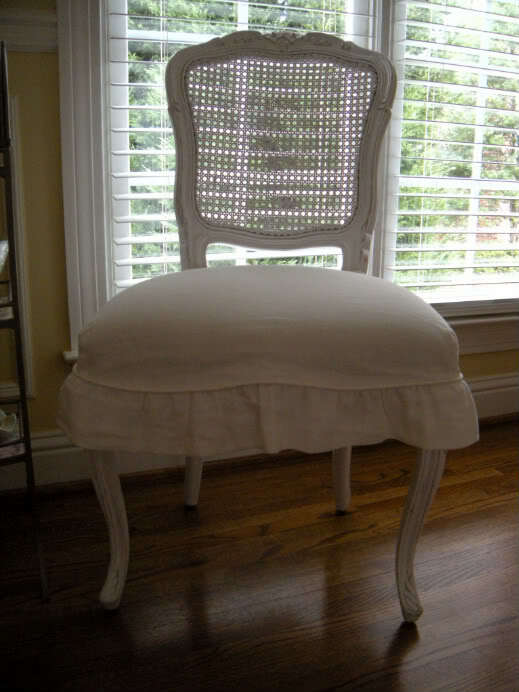 My favorite chair(s) is the Darcy Chair from Shabby Chic. We enjoy these dining chairs in our dining room, but I think they would look great in an eat-in kitchen, too. 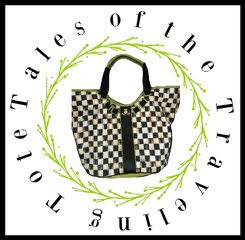 They come in either a pretty weathered gray or a creamy white. Join Alison for Favorites on the First! 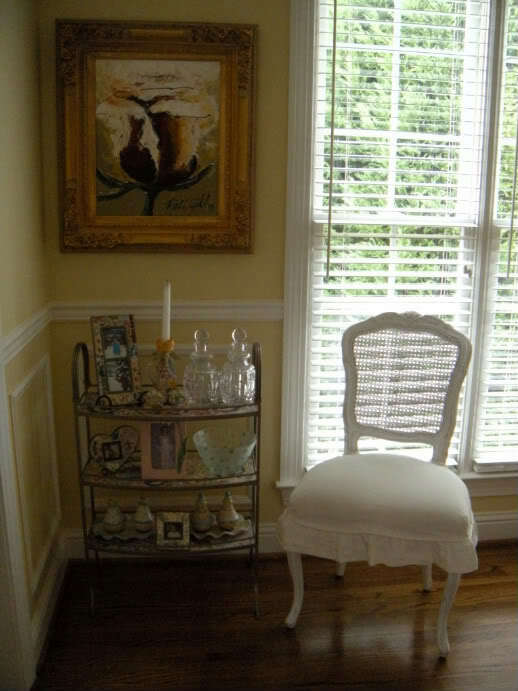 Love all French country chairs! OMG, I love your chairs! They are beautiful! I love the ruffles on them too. Gorgeous! Second, these chairs are so lovely. I didn't know there was a Shabby Chic website where you can shop! I thought other larger shops carried Rachel's items. Learn something new every day! They look so pretty in your room. 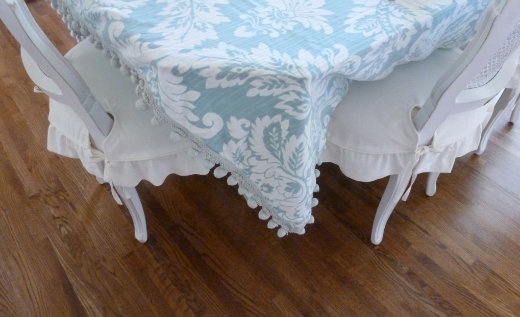 I love their sweet lines and the neutral skirted seat pad and paint finish. 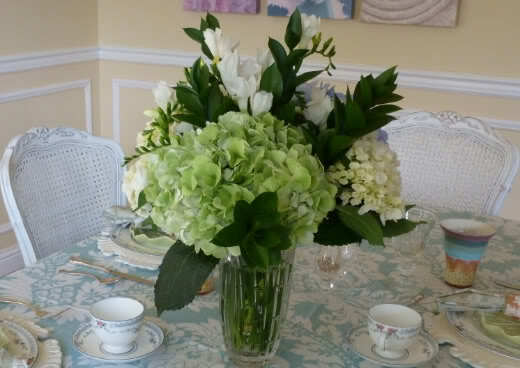 They look wonderful in every setting that you've created. Oh those beautiful chairs again!!! The wings? You're killing me cupid! They are beautiful and divine Ricki! I love that it's white because it complements your entire home. The chairs are beautiful and are perfect in that pretty room. Oh you know how much I love your chairs and actually your whole dining room. Gorgeous. I can look at it again and again. 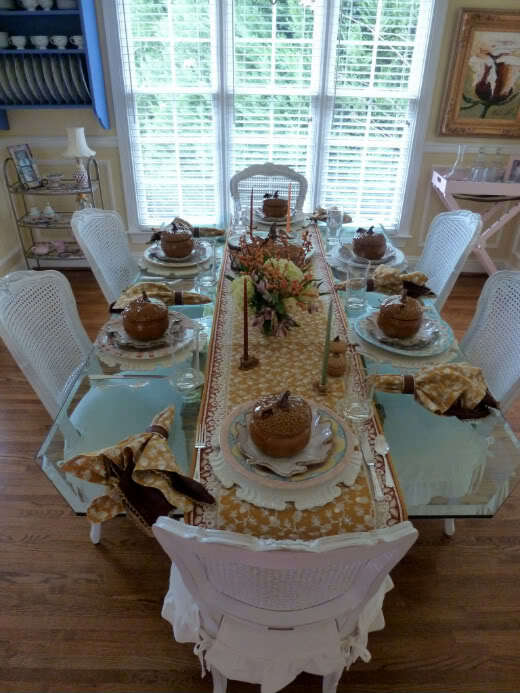 I adore your entire dining room, but yes, the chairs are the princesses! Thank you dear Ricky Jill for your always sweet and generous comments. Have a good week. 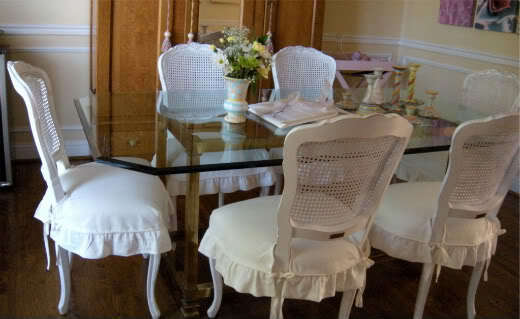 Hi RJ, I love your dining room chairs, especially the flirty little ruffle. I love your entire dining room! 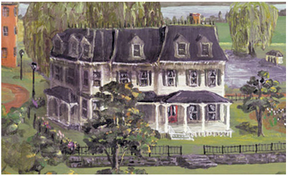 I always enjoy seeing photos of your lovely home. Those are beautiful chairs. No wonder you love them! All seasons and reasons... They would look good around the table! That is a beautiful chair! My chairs are SO uncomfortable! I can see why they are your favorite. They are so pretty and look so comfortable. I love the angel wings too! Visiting from Gina's Random Thoughts post - your chairs are AWESOME - and I even like their name!! Your dining chairs are very pretty and look comfortable with the cushioned seat. Love the color of the walls. I love the versatile looks you can go with your chairs. Love those chairs, Ricki Jill! 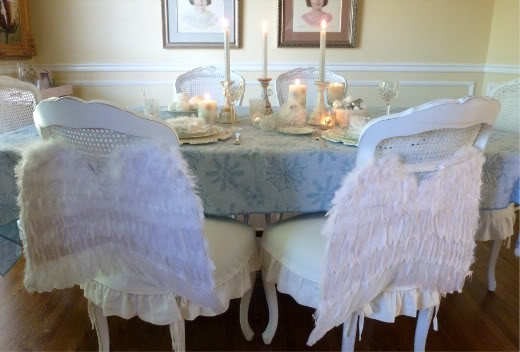 So sweet when you added the angel wings! They look so comfy with those cushy seats. At our house, those pretty seats would soon be covered in spills and dog nose smears. Doesn't that sound nice?